Skill and compassion go hand in hand when providing exceptional patient care. As a vision professionals, we stay up to date on the latest advancements in eye health in order to provide the most current treatment options for our patients. As doctors, we recognize that our patients are unique individuals who have placed a great deal of trust in us and our team. That is just one reason why we value each and every patient relationship. We appreciate the time you’ve taken to visit this site and find out more about this practice, our team, and the many services we can provide to help you achieve optimum vision. Dr. Davis provides medically oriented comprehensive eye examinations with an emphasis in diabetic eye disease and children’s eye condition. He received his doctorate degree from Oklahoma College of Optometry and was trained in hospital based Optometry at Hastings Hospital in Tahlequah, Oklahoma. He served several years as a Captain in the Air Force, before moving to Ellensburg in 1998. 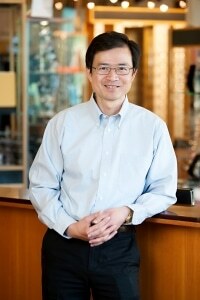 He is highly trained and enjoys the area of specialty contact lenses and refractive surgery. Bob received the Washington State Young OD of the Year Award in 2003 and is a Founding Board Member of Open Door Free Health Clinic. He was elected to Kittitas County Hospital District 1 Commissioner in 2015. He has done 6 volunteer medical eye brigades in El Salvador and Cambodia and in his spare time enjoys running and the occasional triathlon. Dr. Hanson graduated with honors from Walla Walla University in 2003 and received his medical degree in 2007 from Loma Linda University, CA. After medical school, Dr. Hanson completed his internship at the Ochsner Clinic Foundation in New Orleans, LA where he was given the Caring Heart Award for his service. He went on to complete his ophthalmic training at Louisiana State University, where he served as Chief Resident his senior year of residency. In addition to training as a comprehensive ophthalmologist, Dr. Hanson also has significant training in cataracts, oculoplastics, medical retina, strabismus, and glaucoma. 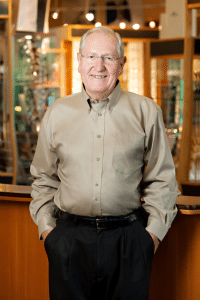 Daniel Hanson, MD and Boys Smith Vision Center’s patients merged with Valley Vision and Hearing Associates in 2018. He continues to see many of his patients from his practice when he is in the office four days a month. Outside of the office Dr. Hanson enjoys photography, many outdoor activities and being a dad.  Dr. Johnson joins Valley Vision and Hearing Associates from Tennessee. 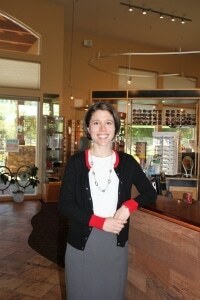 Prior to attending Southern College of Optometry, Dr. Johnson graduated from Brigham Young University. He graduated from Southern College Optometry with a Doctor of Optometry and completed his externship at the Memphis VA Medical Hospital, serving America’s veterans and focusing on ocular disease management. While managing and operating an eye clinic in Memphis, he gained valuable experience treating diseases like Diabetic Retinopathy, Glaucoma, Thyroid Eye Disease, Dry Eye Disease, Hypertensive Retinopathy and Cataracts. When he’s not in the office, Dr. Johnson loves spending time outdoors with his wife and children. Dr. Li interned at the prestigious Lyndon B. Johnson General Hospital in Houston, Texas and advanced his expertise by completing a glaucoma fellowship at Yale University School of Medicine. He offers modern cataract surgical techniques, treatment of Macular degeneration and Glaucoma, laser procedures and has extensive training in treating various eye diseases and other ocular surgery. Abel has surgery privileges regionally, including Kittitas Valley Community Hospital. Leo Oltman’s track record of success speaks for itself! 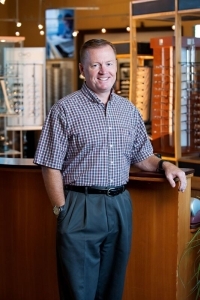 He has been a practicing optician for more than 30 years and has owned Modern Optical since 1980. 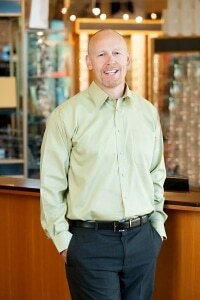 He has served for six years on the state of Washington Department of Health Optician Examining board. Leo is also an active community member, serving as president of the Ellensburg Chamber of Commerce, on the Western Art Association Board, and as a Rotary member. Dr. Oltman excels in cornea and dry eye management, and is extensively trained in management of diabetic eye disease, macular degeneration, cataracts and glaucoma. 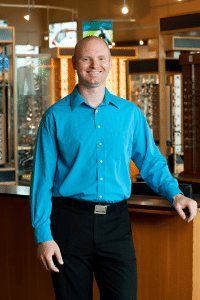 He was a licensed optician prior to obtaining his Doctor of Optometry degree and is highly trained to provide routine vision exams and complete medical eye exams. A native of Ellensburg, Scott graduated from Central Washington University before attending Southern College of Optometry in Memphis Tennessee. He then came home to join his father, Leo Oltman of Modern Optical. He enjoys waterskiing, snowskiing, and is a board member of Kittitas Valley Junior Soccer Association.